Rucker’s Makin’ Batch Candies of Bridgeport, Ill., is recalling Toothsome Chocolate Emporium Dark Chocolate Coffee Beans, Dark Chocolate Cranberries and Dark Chocolate Peanuts. The recalled products are packaged in 8-oz. 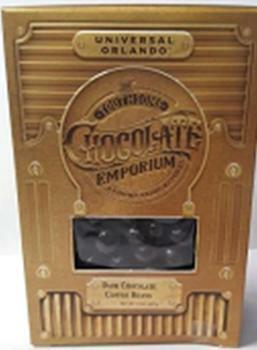 clear bag within a gold Toothsome Chocolate Emporium box and the UPC 400013041067, 400013041074 and 400013041098, and were sold at Universal Studios Park, The Toothsome Chocolate Emporium in Orlando, Fla.
Consumers wishing to receive a refund for unused portions or have questions may contact Kelley Pfeifer at 618-945-7778 or 888-622-2639 Tues – Thur. 8:00 am – 4:00 pm (CST) or by email at kelleyp7@ruckerscandy.com.